Life’s Abundance Premium Health Food is made with select ingredients, including high-quality chicken and whitefish meals, whole grains, nutritious vegetables and fruits, omega fatty acids and much more. We never use corn or wheat products and we never use artificial flavors or colors. 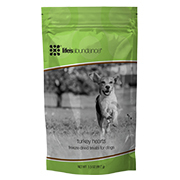 With Life’s Abundance, you can be confident that you are feeding your dog advanced nutrition. 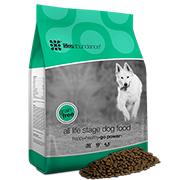 Wholesome and nourishing dog foods formulated to supply dogs of all breeds, sizes and ages with a healthy and satisfying grain-free diet. Packed with nourishing, high-quality ingredients. 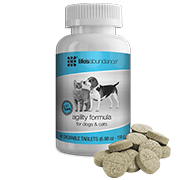 Nutritional supplements for common canine health challenges and optimal health. Multi-action joint support formula containing Glucosamine, MSM, sea mussles and Hyaluric Acid. 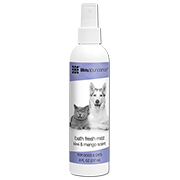 Everything you need to keep your dog’s skin, coat and ears clean and healthy. Pamper your precious pet with Life’s Abundance pet care products that naturally cleanses and beautifies coats. 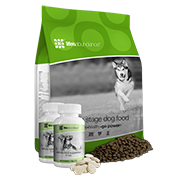 Our premium foods PLUS the additional nutrients provided by our wellness supplement for dogs. This combination provides full spectrum nutrition for your best friend that simply can’t fit in a nugget of food. 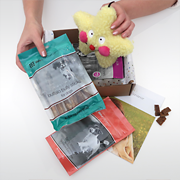 Premium chews, training treats and baked goodies offer wholesome, healthy and delicious canine rewards. No artificial flavors or colors. No corn, wheat or corn/wheat glutens. Your dog will love our mouth-watering dog treats. Looking for the perfect gift for that special four-footer? As soon as they get one whiff of this goody pack, they will do the happy dog dance! This lovely basket contains a plush, squeaky toy plus an assortment of premium treats.